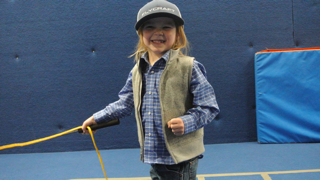 Shredder can provide private lessons for anyone - from ages three to adults! Private lessons allow developed skiers and snowboarders to take their skiing/riding to the next level or provide new skiers/riders the extra attention to accelerate their learning and get them ready for the slopes. Each lesson will focus on your skiing or snowboarding goals that we set at the beginning of the lesson. Private lessons are normally an hour but can be adapted for custom durations. During our class sessions, privates must be schedule around our class times. Available times are typically between 12-4pm on weekdays and after 3pm on weekends (weekends are also dependent on birthday party scheduling). Please view our PRICING PAGE for a breakdown of privates pricing! Our superstar Shredder Instructors will entertain your child and party guests in a fun, unique, and safe environment. You will have the whole facility for your party with activities catered to your child’s interests. Your Shredder party will be talked about long after the fun is done! Learn more about our Birthday Party Packages! PNOs take place during selected Fridays throughout the Fall and Winter sessions. We watch the kids from 5:00 - 9:00pm. The evening includes games, skiing/snowboarding, crafts, movies, and a pizza dinner! Select your Shredder location to view PNO dates! This is a time to practice and reinforce the fundamentals of skiing and snowboarding. If you are not a currently enrolled student, the price is $15 for the hour time block. This price includes all necessary gear (helmets, boots, skis/boards). Please check our Open Gym page days and times, as our Open Gym times vary depending on the session. Open Gym is free for students registered for the current session of classes. Open Gym is not a class; parents are teaching or practicing with their kids. Shredder staff will be available to assist with set-up and to ensure safety. Visit our Open Gym Page to view times for the current session! 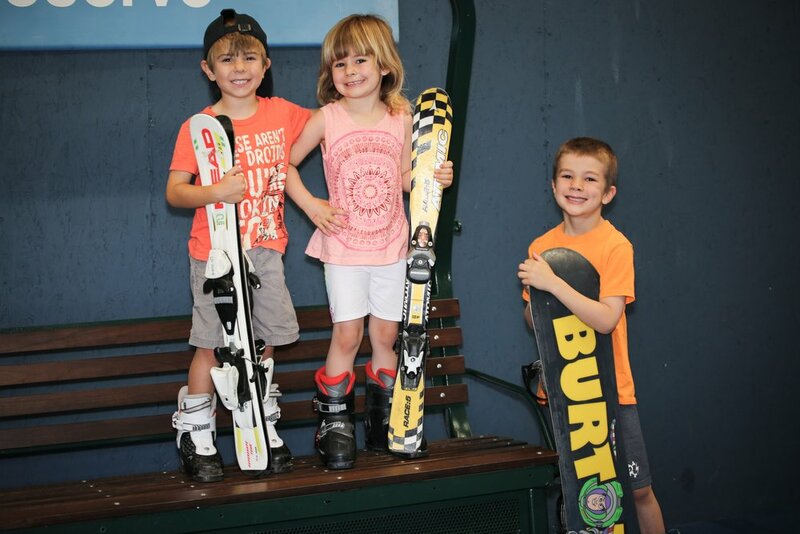 Our camps are designed for kids to learn or strengthen their ski or snowboard skills. In addition to having fun, participants will have prime time on the slope skiing or snowboarding. Each day, your child will spend significant time getting instruction or just honing their ski/snowboard skills for the upcoming season. Check each location's registration page around the holidays for camp schedules! Inspired by our success in increasing the conversion and retention rates for participation in the skiing and snowboarding industry, Shredder has decided to expand our program into another outdoor industry - FLY FISHING! The Shredder Outdoor program allows for an outgoing, outdoor-loving clientele to develop and advance their fly-fishing skills and knowledge in a comfortable, collaborative, and safe environment. Shredder Outdoors’s innovative curriculum and unique indoor experience increases the conversion and retention rates for fly-fishing participation because it is accessible, affordable, and exciting! Check out our Shredder Outdoors website for schedules and classes!